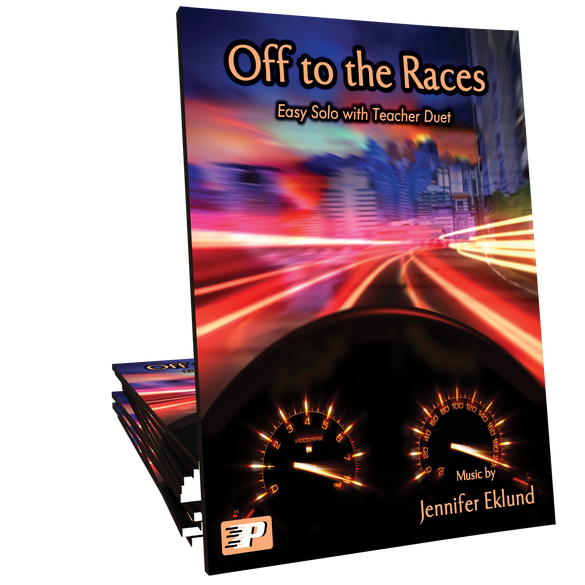 Off to the Races is a super-easy primer level solo for beginners of all ages that uses only 3 notes and includes a fun teacher duet part. 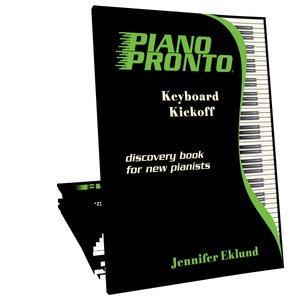 Part of the Pronto Pizazz songbook. I love giving this piece to my younger students as well as older for sight-reading practice. It's perfect practice for nailing down whole notes and half notes. The teacher part drives the pieces and makes it super fun for both student and teacher! I'm glad I got a Studio License of this piece, because lots of my students are enjoying playing it! I think that Studio Licenses are the ONLY way to go. Thanks! One of the best investments I've made! I purchased the studio license, and use this for almost every student's trial lesson. They can easily play it in the first lesson, and the duet part makes them sound so good! Love, love this piece! It's a favorite in my studio with young boys in particular! It's an engaging and catchy tune - one that they love to play. This piece is a quick favorite of my beginner students! Their eyes light up when they realize they are playing a duet as well! Definitely a keeper for me! I have used this with 6 students so far and all 6 have fallen in love with it! I love playing it with students who have learned the required few notes. A new studio staple! How wonderful to have a great sounding duet to play with very beginning students!!! I played this as a sight reading piece with an elementary student, and we both loved it. I can’t wait to try it with my little littles! I plan to use this as a recital piece for one of my youngest students.